Public Defender Nhu Tran wishes the court to address her in front of the jury as Defense Attorney Nhu Tran, not as Public Defender Nhu Tran. The reason you may ask? The stigma is, both are losers. But the stigma doesn’t end with the Juror’s in a trial. Another stigma continues to reflect upon the jurors themselves. To quote an unnamed comedian, the word “juror” comes from the Latin word “jurque” – pronounced “jerk” – translated - a person too stupid to get out of jury duty. 12 dollars for a days worth of jury duty? Who in their right mind would subject themselves to being herded as cattle or as the state may view you as State chattel for a mere pittance of 12 dollars ? Most people have heard of stories of jurors being imprisoned by the court system during the selection process of being a juror, and worse yet, stuck as a juror for trial. And who do you owe this public debt to? How a trial by jury began. The U.S. based concept of jury trials was created by Muslims in North Africa. We often use 12 jurors in the U.S. because of the Shite - Shia belief of the twelve divinely ordained imams. In the eighth century, it was the Lafif in the Maliki school of classical Islamic law that later created the concept of drawing jurors from the community, of swearing them to tell the truth, of assigning them to act as fact-finders, of requiring unanimous decisions, and of having those decisions binding on judges. King Henry II in the twelfth century implemented the procedure of resolving land disputes through decisions by “twelve free men” of the community. Many Racineian’s appear to believe that such “ordeal trials” has left the English dungeons and settled comfortably in Racine’s Jury Assembly Room, patiently waiting for you to be called to duty. There is so much more to be discussed about the present day jury system, much of it positive, including the subject of public defenders, all of that will have to wait for a later date. Enough of history and back to this case involving Walmartians. It starts out with a Walmartian/arsonist buying a pair of boots from Walmart, size 10. The Walmartian then trekking through the snow leaving boot imprints at crime scenes as the arsonist sets several buildings on fire. When sheriff investigators asked arson victims whom might have set the building on fire, the suggested name was Nicholas Sheen. When the victim was further asked of a possible motive, the victim stated, Mr. Sheen was evicted from the property. So investigators do what they do and went to talk to Mr. Sheen, and when they did, during questioning and investigation, they found Mr. Sheen had a pair of boots that matched the crime scene imprints in the snow, right down to size 10. During the following days, weeks and months, investigators dug deeper finding more circumstantial evidence linking Mr. Sheen to the crimes. The State filed charges for arson. The State’s alleges Nicholas Sheen set fire to several buildings in Union Grove. Two of the three buildings involved in arson the defendant was a tenant and evicted from several years ago. The State argues the tracks imprinted in the snow at the 3 arson scenes are the same as Nicholas Sheen’s boots. State experts verified that the boot tracks at the scene of the crimes were similar enough to Mr. Sheen’s boots that Mr. Sheen’s boots could have been at the scene of the crime. Nhu Tran argued that the boot tracks found imprinted at the scene of the fires are common. So common that she plans on introducing certified business records from Walmart of how many boots Walmart sold. The possible number mentioned was 500,000 pair. The State objected to the business records being introduced in court. And this is where Judge Piontec questioned how boots sold in Hawaii may be relevant. Judge Piontec stated the introduction of the business records may confuse the jurors. And remember what we said earlier about most jurors? So Judge Piontec will rule on the use of the certified business records during trial, and what portion of the records may be relevant for jurors to view. Boots sold after the arson date is irrelevant. Judge Piontec also made it very clear that boots sold in Hawaii would not be part of the business records to be viewed by the jurors either. We have seen in recent week’s many stories of criminals leaving the scene of a crime, imprinting footprints in the snow for law enforcement officers to follow directly to the criminal’s residence. Yes, the Zombie Apocolypse is happening in Racine County as we speak. If some of these criminals were any dumber, they would have to be physically dead. Henceforth we have living zombies walking amongst us. RCC has followed the State vs. Nicholas Sheen case since the filing of charges. RCC has observed the actions of the court, prosecution and defense. All parties have been on their “A” game. A.D.A. Noah Wishau well prepared, and an active defense strategy developed by Nhu Tran. This courtroom is working, unlike the next courtroom case RCC has been following and will feature next. Criminals in the criminal justice system! Racine Police Officer Donna Hanke’s failure to conduct a proper investigation on 11-01-2014 appears to have contributed to the lethal confrontation of Mr. Hanson’s dog. Does Donna Hanke’s debunked report reflect her indifference to veracity in the court? When the court is presented evidence that illuminates the police investigation as botched, should the court continue its present course of action to hold an incarcerated defendant for probable cause? The court has acted indifferently to overwhelming evidence that RPD failed to conduct a proper and profession investigation. To add insult to injury, RPD failed to correctly identify the armed aggressor that allegedly entered Kurt Hanson's property with a weapon and caused the armed altercation. So according to RPD, Art Howell , the D.A. 's office and the courts, you can go to your neighbors house armed with a gun, cause an altercation, cry wolf to the incompetent cops when your neighbor arms himself, and have your neighbor arrested. The courts are suppose to act as an impartial entity to safeguard abuses from other government agencies. So we now ask the following question. Does the court act as a revenue whore for the county or city by not questioning the report when the court is presented with evidence that conflicts with an officers incident report? We believe the present course of the Racine court is not impartial, but rather conspires with its other government agencies, and remains blind and biased against the defendant Mr. Hanson. Errors of 11-01-2014 by RPD are well documented and numerous, including the illegal killing of Kurt Hanson's dog for being a DISTRACTION, as stated by Art Howell. Shooting a dog because it is a distraction is an illegal act, even by police. Police are not privileged to kill, no more privileges than any member of the public. The incident commander of this event, along with the sloppy shooting, trigger happy dog killer will hopefully have to answer in civil court for their illegal and civil indiscretions of killing a dog that posed no threat. The 11-01-2014 incident illuminated the poor training of RPD SWAT officers, as well as the lack of discipline, judgment, supervision and leadership. = EPIC failure by RPD ! Racine Police Chief Art Howell and his command staff has failed to provide the City of Racine citizens with competent and professional police services. 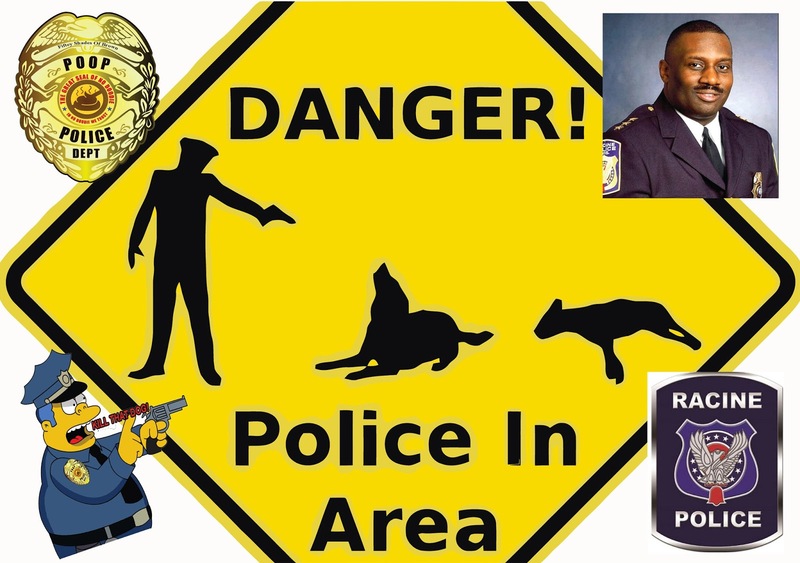 Fifth graders could have performed better than the 27 Racine Police Officers now named for trial as State witnesses against Kurt Hanson………..
Whose dog is RPD going to kill next? take your corrupt, incompetent staff with you! Art Howell and his GOONS are at it again. Is seeing believing ? Apparently not with the City of Racine Police Department. The incompetent leaderless Arty Boy has outdone himself again! City of Racine Police Chief Art Howell has 27 Police Officers who apparently did not see or acknowledge video cameras across the street on 11-01-2014. During the 3 plus hour standoff with Mr. Hanson, not one officer inquired about the easily observed cameras. A whopping 27 Racine Police Officers are now named as witnesses against Kurt Hanson for trial. Think about this folks, 27 Police Officers were not observant enough to inquire about surveillance cameras aimed at them across the street. Some of these officers being touted as the highly trained, "SWAT" team members. The errors of 11-01-2014 by RPD are accounted for by poor training, discipline, judgement, supervision and leadership. Art Howell and his command staff has failed to provide City of Racine citizens with competent police services. Think about this folks, 27 officers are now named as witnesses from a dog pop incident. 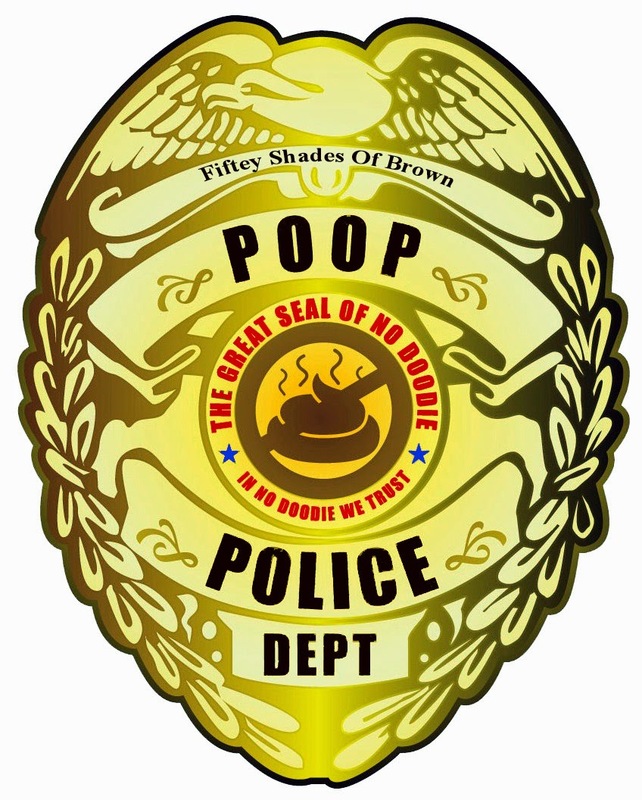 The dog poop incident turned into lethal force because of Racine Police Officers incompetence to perform basic investigative tasks. Resign Now Art Howell !